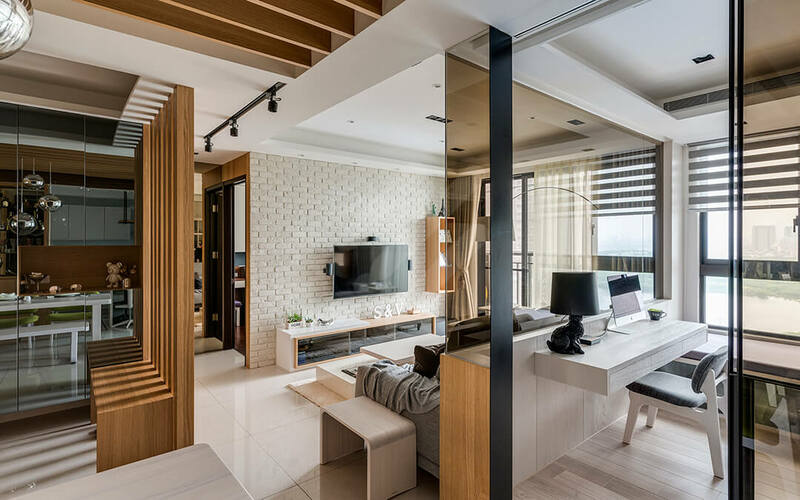 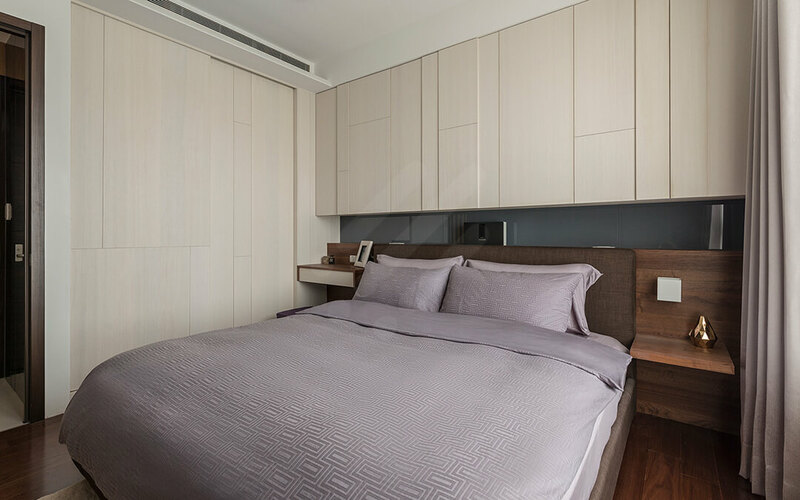 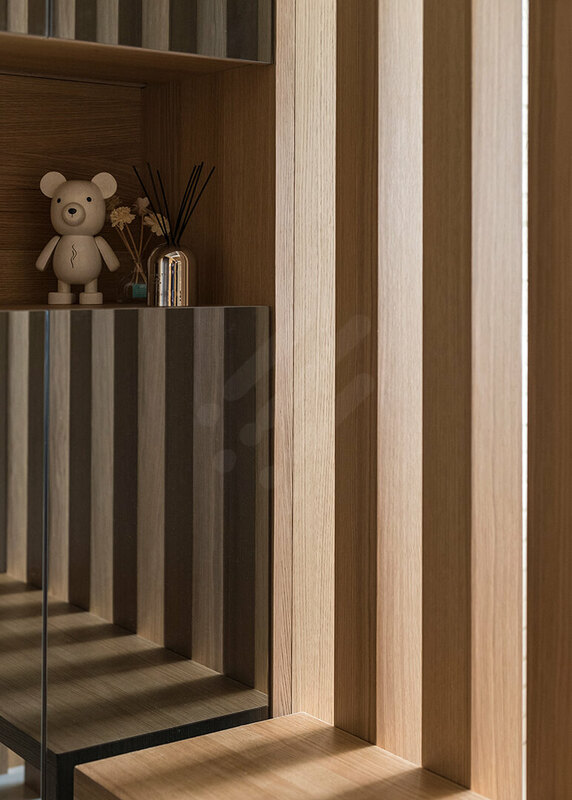 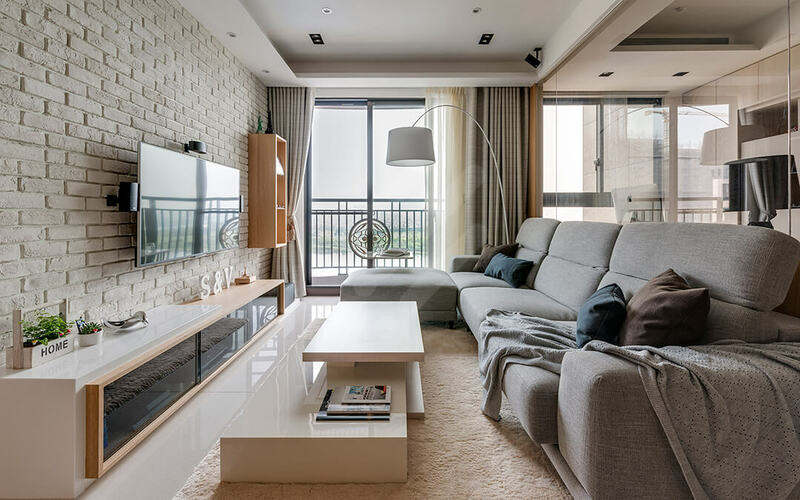 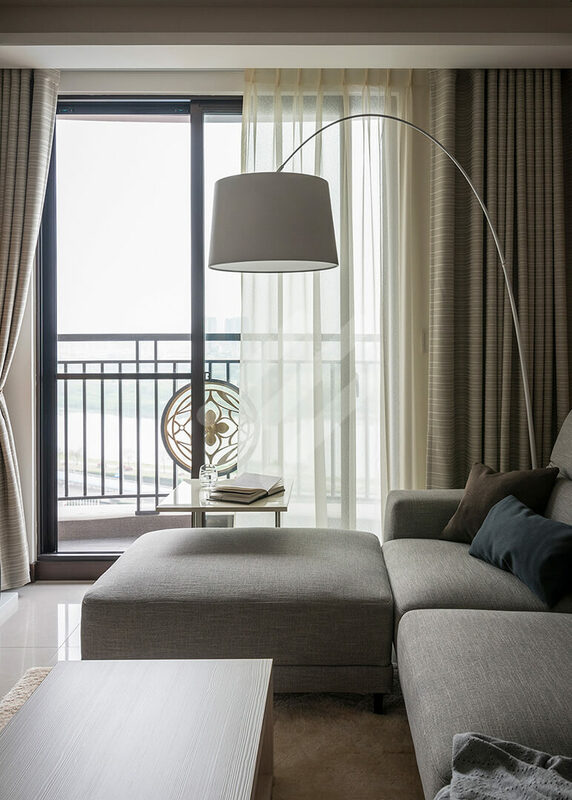 The tone of the space derives from the use of light colors, which expands the spatial experience of this 52.9 m2 apartment and complements its glass, gratings and mirrors. 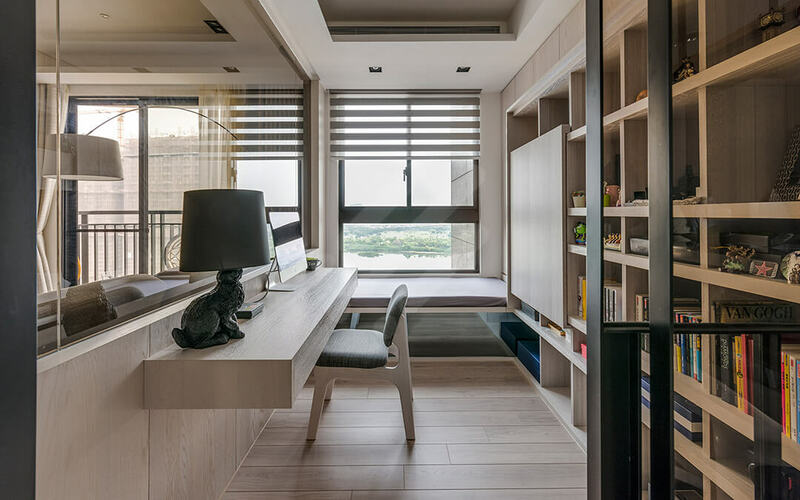 The wall between the living room and the study is replaced by glass, extending visual continuity from one space to another and making them a dynamic combination while still keeping them independent of each other. 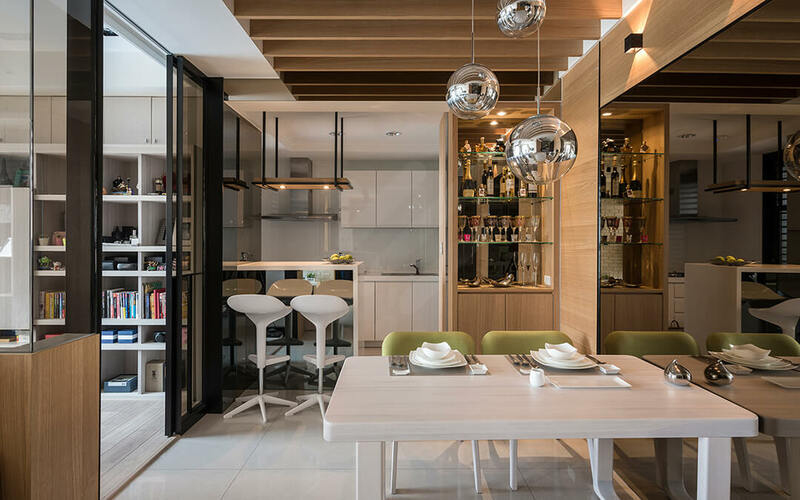 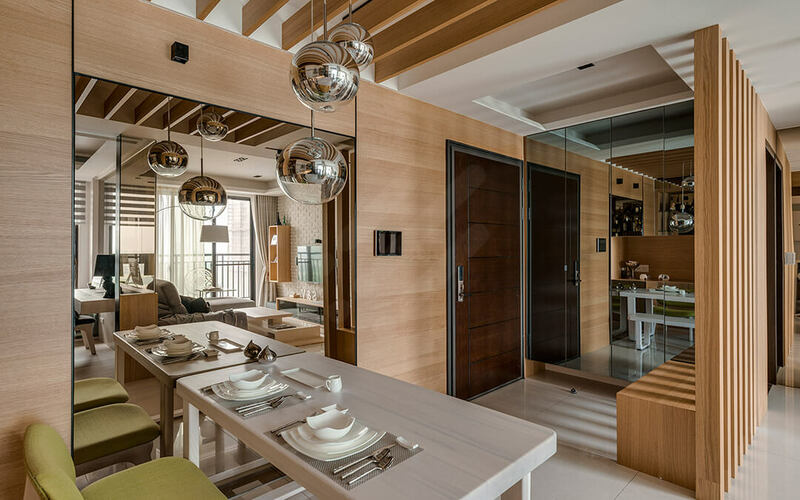 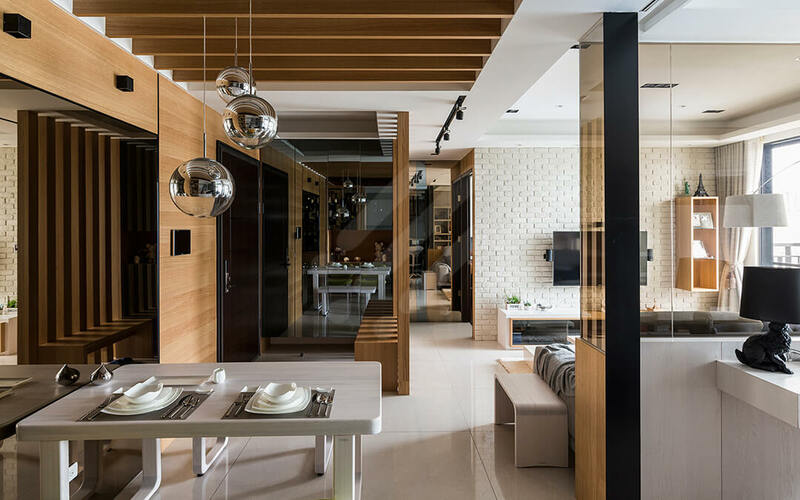 The dining area, by contrast, is defined primarily by mirrors that reflect the study on both sides, creating a conversation of spaces between the living room, the study, and the kitchen.